Gun sales have been on the rise in recent years, and in turn, a wide variety of gun safes have also appeared in the marketplace. With the influx of manufacturing, it isn’t always easy to know if you’re going to get the highest quality products that will work best for housing your firearms. Making the final decision can feel daunting, yet it’s a vital investment that will help keep your children and family members safe and protected from accidents as well as home invasions. At QuickPro Locksmith, we want our Atlanta area customers to stay protected. If you’re interested in a gun safe installation, need help with a safe lockout emergency or need a repair, our team of experienced Atlanta locksmiths have what it takes to get the job done. Give our team a call today to discuss your needs one on one, and our experts will help you find the perfect solution. Contact the QuickPro office for more information or to schedule an appointment with a qualified locksmith in Atlanta, Georgia or a nearby metro area neighborhood. Your first step needs to be deciding between conventional gun safes or concealed models. Many people are choosing to make the switch to concealed safes because they want to keep their guns hidden from criminals if a break in occurs while they aren’t home. It can also help keep the kids less prone to investigate, out of site out of mind. While this option sometimes involves extra effort to install, many homeowners feel that it’s well worth it. Pick the area where you want to safe to be, and take proper measurements. When deciding on a safe model, you’ll want to be certain it will fit snugly and that it won’t be too heavy. The manufacturer should have all the dimensions and weight information easily accessible, and getting this data ahead of time can help you narrow down the possibilities. While keeping your guns out of the hands of children or thieves is likely the top priority for purchasing a gun safe, there’s another danger to consider. Natural disasters can also cause major trouble. Flooding and fires can destroy your guns and everything that is housed inside your safe. It’s important to choose one that has some level of resistance against these potentially devastating events. You may also want to factor in the style of lock that’s being used. There isn’t a right or wrong style, but you need to weigh which solution is best for your needs and budget. Popular options include biometric (fingerprint, retina and iris scanning or facial recognition), electronic keypad, manual keypad, rotary combination, single cylinder, padlocks and more. Is it time for your next gun safe installation project? 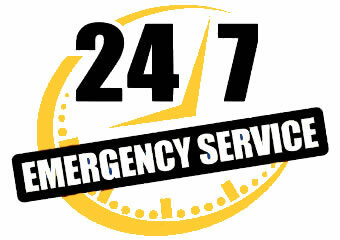 Are you experiencing a safe lockout and need professional assistance? Have you accidentally damaged your safe’s locks and need a quality repair or replacement? Then call the specialists at QuickPro Locksmith. Our dedicated residential and commercial Atlanta locksmiths will put their tools and skills to work so you can feel safe and well protected in your home. Call our office today to discover more about our services or to schedule a convenient appointment with a dependable locksmith in Atlanta, Suwanee, Sandy Springs, Stone Mountain, Roswell, Decatur, Buckhead and other nearby communities.